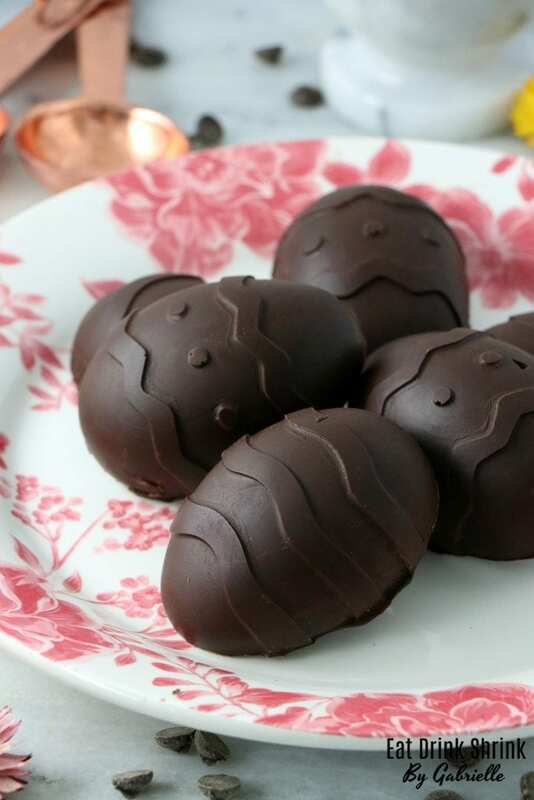 5 Ingredient Vegan Dark Chocolate Peanut Butter Eggs - Eat. Drink. Shrink. As I type this, I’ve whipped up close to 8+ recipes with tutorials and am pretty exhausted lol. I think for the first time in perhaps 5 years I have the sniffles! (gasps) On a more food related note, I love to brainstorm recipes for the holidays. When it comes to any holidays I find that there is more room for creativity and you can just have fun with it! 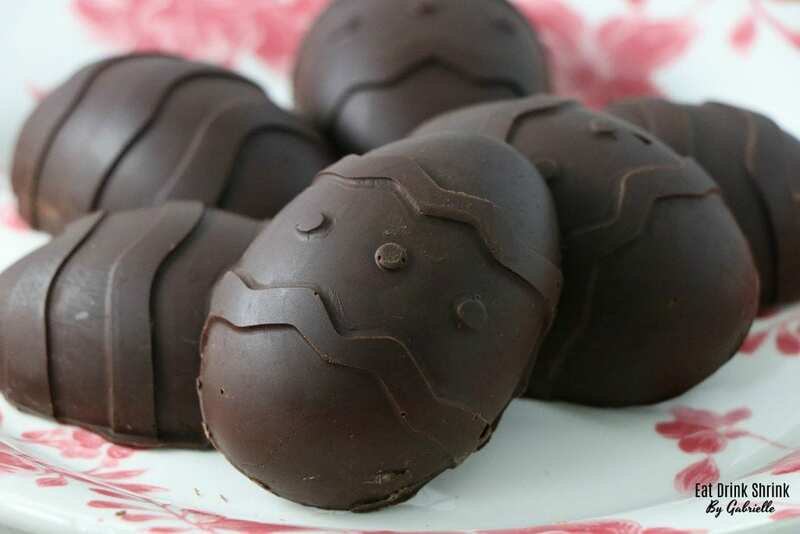 Although I’ll never understand how Easter Eggs have anything to do with bunnies lol, when thinking of the perf Easter recipe I knew I had to do an egg concept! 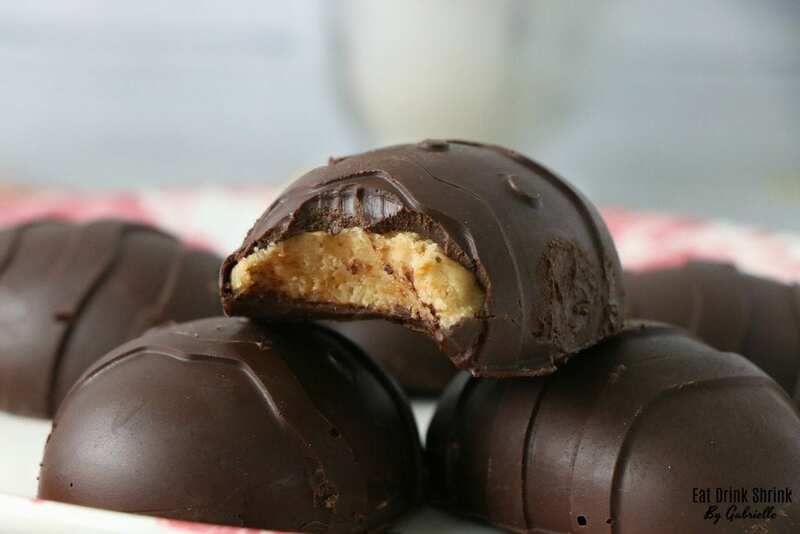 I was torn between doing a vegan “Cadbury Egg” or doing this classic “Reeses” peanut butter eggs and well, I decided to go with the latter for many reasons! 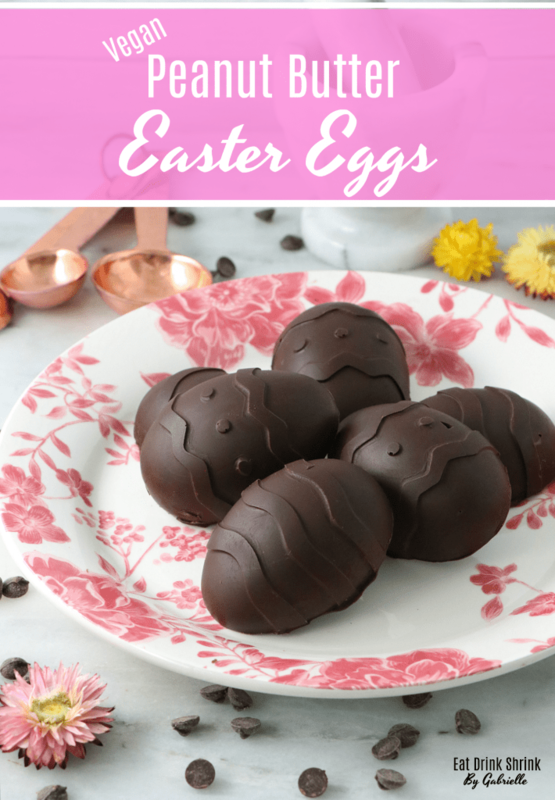 I love the idea of a Cadbury Egg and being able to replicate the colors and flavor (I may still do one) however, I was never one to like those and it involves corn syrup etc, so I went with this classic recipe for vegan Dark Chocolate Peanut Butter Eggs! What I love about this recipe, is everything! 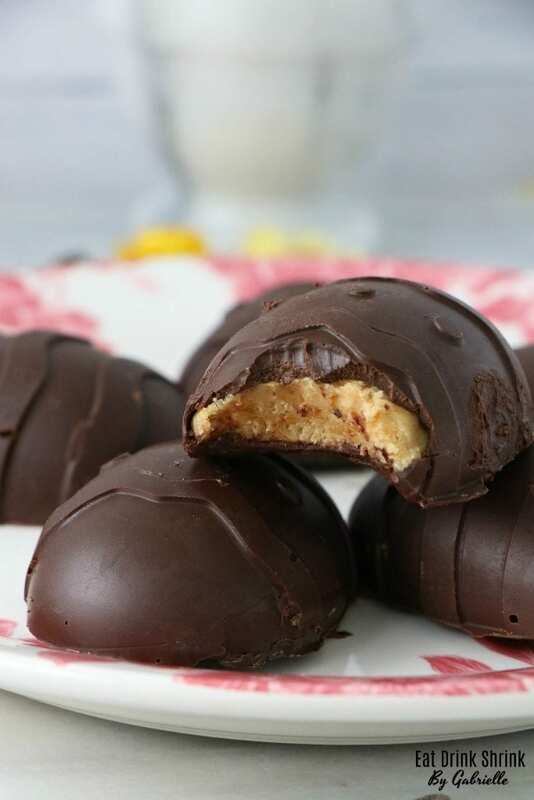 It’s super easy, affordable, involves minimal ingredients, minimal effort, is fun to make, can easily be done in bulk, the filling could be used for other recipes, you can use peanut butter powder to avoid nearly 100+ calories, perf for Easter, and non vegan approved! 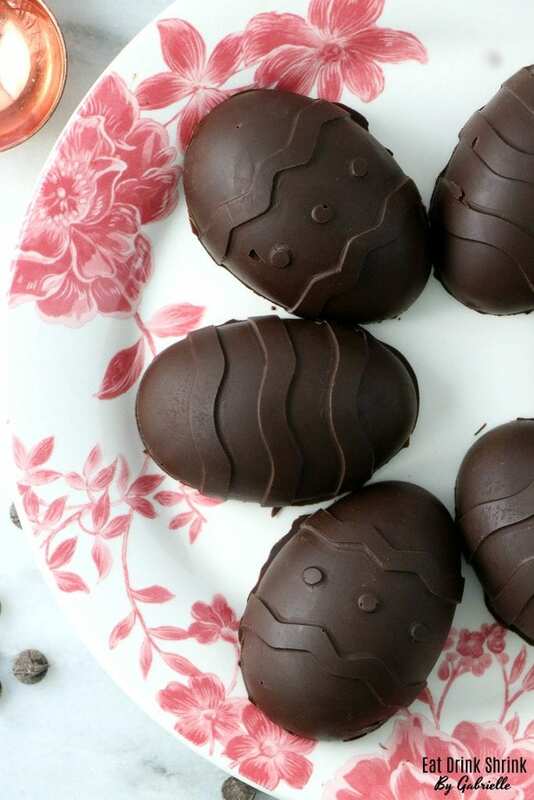 If you’re looking for that staple Easter holiday treat, you have to try my recipe for vegan Dark Chocolate Peanut Butter Eggs! Beat together powdered sugar, peanut butter and melted vegan butter. If you want to cut calories, combine use peanut butter powder. If the dough is too wet, add more peanut butter powder or flour, if too dry add almond milk 1 tbs at a time. Dust a surface with flour or peanut butter powder, roll the dough and set aside once it comes together and set aside to chill in fridge. Add the chocolate chips and 1 Tbsp coconut oil in a microwave and melt for seconds at a time. Stirring midway to prevent chocolate from burning. Coat the molds with chocolate and set in the fridge to solidify. (5 mins) Remove from fridge and repeat until you achieve a fairly thick layer to form the top. Now take the peanut butter filling, and press into the chocolate, leaving space for the tops to be coated in chocolate. Coat the bottoms and set in fridge to chill for 30 minutes to 1 hour. Enjoy!